Scholars have long noticed a discrepancy in the way non-Western and Western peoples conceptualize the scientific and religious worlds. Non-Western traditions and communities, such as of India, are better positioned to provide an alternative to the Western dualistic thinking of separating science and religion. The Himalayan Environmental Studies and Conservation Organization (HESCO) was founded by Dr. Anil Joshi in the 1970s as a new movement looking at the economic and development needs of rural villages in the Indian Himalayas, and encouraging them to use local resources in order to open up new avenues to self-reliance. This book argues that the concept of dharma, the law that supports the regulatory order of the universe in Indian culture, can be applied as an overarching term for HESCO’s socio-economic work. This book presents the social-environmental work in contemporary India by Dr. Anil Joshi in the Himalayas and by Baba Seechewal in Punjab, combining the ideas of traditional and scientific ecological knowledge systems. Based on these two examples, the book presents the holistic model transcending the dichotomies of nature vs. culture and science vs. religion, especially as practiced and utilized in the non-Western society such as India. 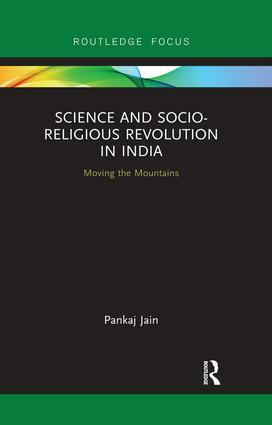 Using the example of HESCO, the book highlights that the very categories of religion and science are problematic when applied to non-Western traditions, but that Western technologies can be radically transformed through integration with regional legacies to enable the flourishing of a multiplicity of knowledge-traditions and the societies that depend upon them. It will be of interest to students and scholars of South Asian Studies, Religion, Environmental Studies, Himalayan Studies, and Development Studies.